German Justice Ministry asks Chancellor Merkel to strip Kuwait Airways of German landing rights after Thursday ruling. German government ministers have reacted strongly to Thursday's ruling in Frankfurt District Court stating that the airline may refuse to carry Israeli passengers. The case was brought by an Israeli passenger, represented by The Lawfare Project, who had bought a ticket from Frankfurt to Bangkok but was barred from boarding his flight because of his nationality. The Lawfare Project fights legal cases against anti-Jewish discrimination around the world. Nathan Gelbart, the Lawfare Project’s German Counsel, confirmed that the Israeli passenger would appeal. Deputy German Foreign Minister Michael Roth contacted the Kuwaiti Ambassador to Germany to request that he raise this matter with the Kuwaiti Government at the earliest opportunity. 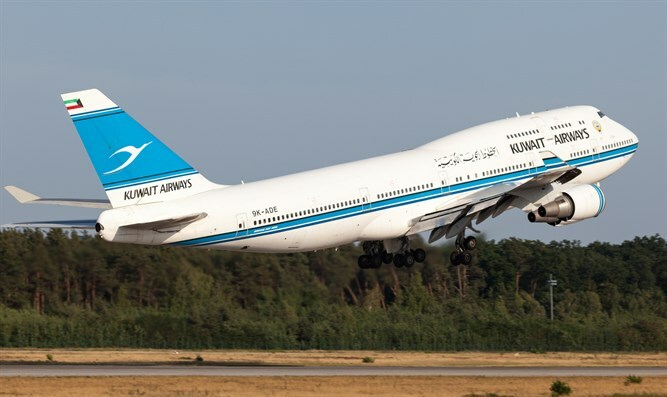 The State Secretary of the Ministry of Justice and Consumer Protection, Christian Lange, also issued a strong rebuke to Kuwait Airways and wrote to Chancellor Angela Merkel to demand her intervention on the matter. The plaintiff will be launching an appeal. “We cannot let this injustice stand. We will continue to fight such obvious anti-Semitic bigotry using the full force of the law, in Germany and anywhere else,” said Goldstein.